When my son died seven years ago from lack of access to health care, I set about telling people that his life mattered. It mattered to me and to my family. It mattered to his friends and to the people whose lives he saved through his work in addiction recovery. His life mattered. I used that phrase a lot when I spoke in public about his life and death, and I couldn’t think of a phrase that said it better or more succinctly. 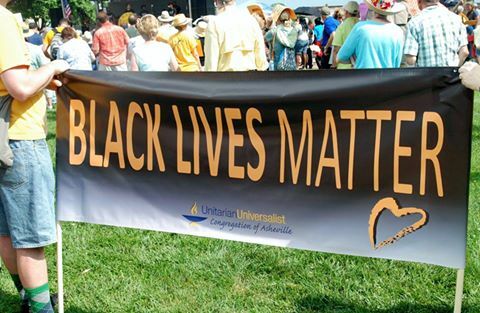 So, a couple years ago, when the phrase “Black lives matter,” began popping up, I really, really understood the meaning. But as much as I got it, I began to realize I would have to give up that phrasing when it came to my son and others who die from lack of care. Yes, their lives matter, and it wasn’t without a tinge of resentment that I realized the phrase now belongs to a civil rights movement that doesn’t necessarily include my son. Breaking the habit of using it in reference to health care is a hard thing to do. That’s because my son’s life did matter; I just have to find another way to say that because I have great respect for the Black Lives Matter movement, and I fully understand the need to specify that black lives matter. My son died from lack of access to health care. That happens to people in poverty, and more people of color are trapped in poverty than are white people. More people of color are denied care. More people of color die, and each of those lives matters to me. What’s worse is that more black people die at the hands of law enforcement; more unarmed black people, in fact. It happens far more often that a person who might have committed a minor offense if slain by police if that person is black. I understand this. I have internalized this. I have sat at a table with three African-American women and learned that all of them have lost sons to gunfire. I, on the other hand, got to say goodbye to my son. At least I have that. So, I know I shouldn’t use the “… lives matter” phrasing, but the habit creeps in and it’s done before I realize I have done it. Recently I used it on a Facebook event page and faced a shitstorm of criticism. I was on the road, traveling to my stepbrother’s funeral and didn’t have a chance to change it immediately, which only made people angrier. I apologize. Really. I will try not to use that phrasing again. But if I do, please do as one of my friends did and private message me gently. I’m trying to break the habit. It can be difficult for me to remember that I need to find another way to phrase what my son;s life meat, but I am willing to do that. I know all lives matter, but we must specify until people really understand that black lives matter every bit as much as mine or my son’s. I understand. I get it. I will break the habit. Just, please, don’t call me names — especially racist.